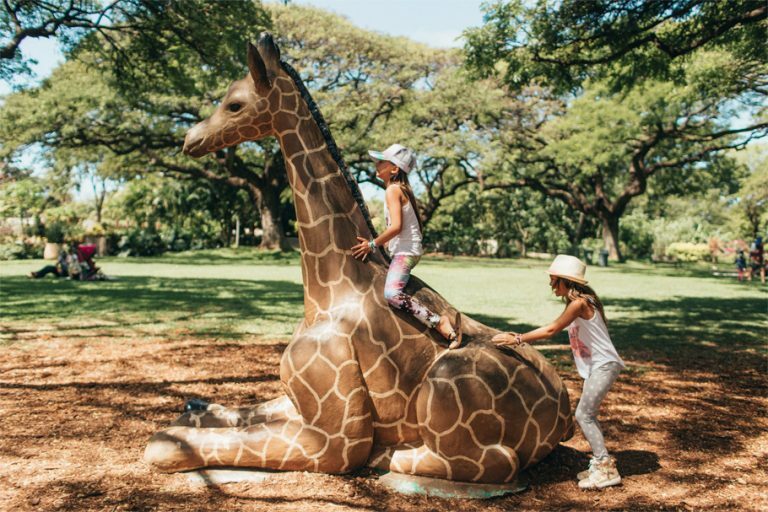 Visiting the animals at Honolulu Zoo is a favorite family excursion. My daughters were 3 and 4 when we first visited the zoo seven years ago, when they were both excited and curious to see the animals. They particularly enjoyed the playful monkeys and seeing the giraffes’ long necks. During our visits, we can watch feedings of elephants, sloths, penguins and giant Japanese salamanders, while their keepers answer our questions about the animals. For a change of pace, the zoo also offers Friday and Saturday evening “Twilight Tours,” two-hour walking tours that contrast the behaviors of day-active diurnal versus nocturnal animals. 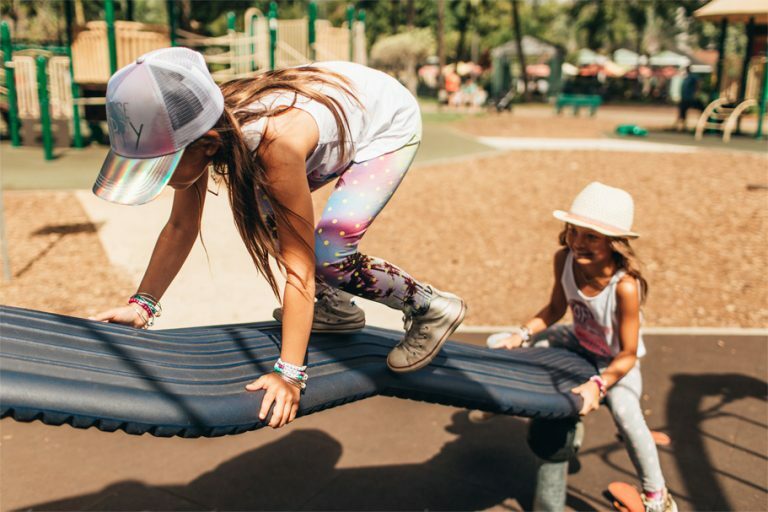 Through visits and such interactive features as a petting zoo, I was hoping to instill in my girls a love of animals, a sense of caring for endangered creatures, and an appreciation for nature. To this day, they love seeing exotic birds and creatures beyond household pets, such as our two dogs, a rescue Basenji mix and a Maltese mix. Seeing animals from other continents helps them to imagine other worlds beyond our shores . The Honolulu Zoo is at 151 Kapahulu Ave. Visit honoluluzoo.org for a schedule of daily events. 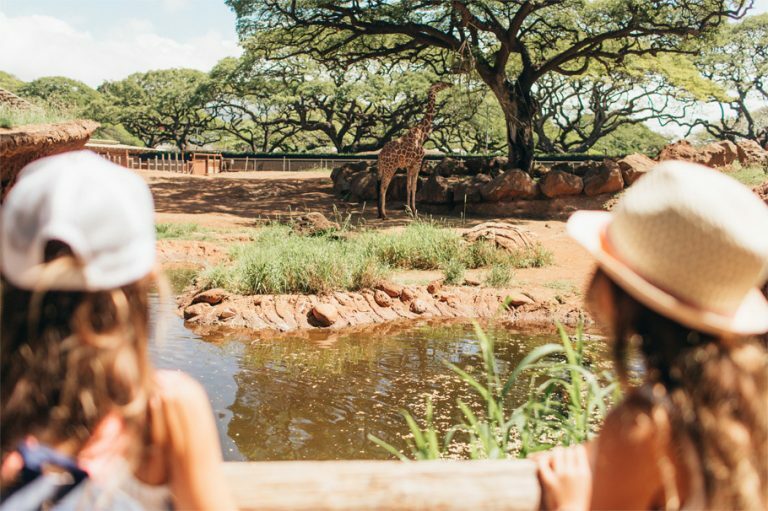 Melia and Kiele particularly enjoyed seeing the giraffes and their beautiful, long necks. Kiele monkeyed around the outdoor playground by the Keiki Zoo. Here, Kiele wears assorted Aloha Keiki wood bracelets and bangles. 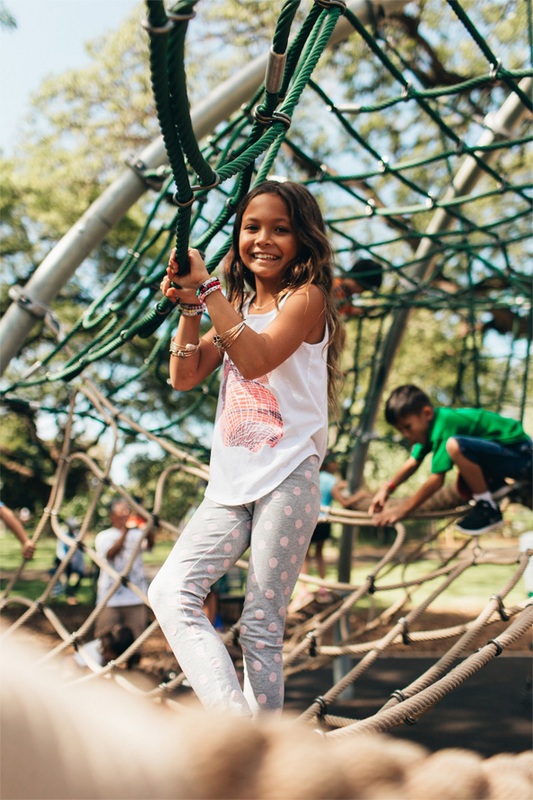 Parents can watch-on while their kids enjoy hours of fun! 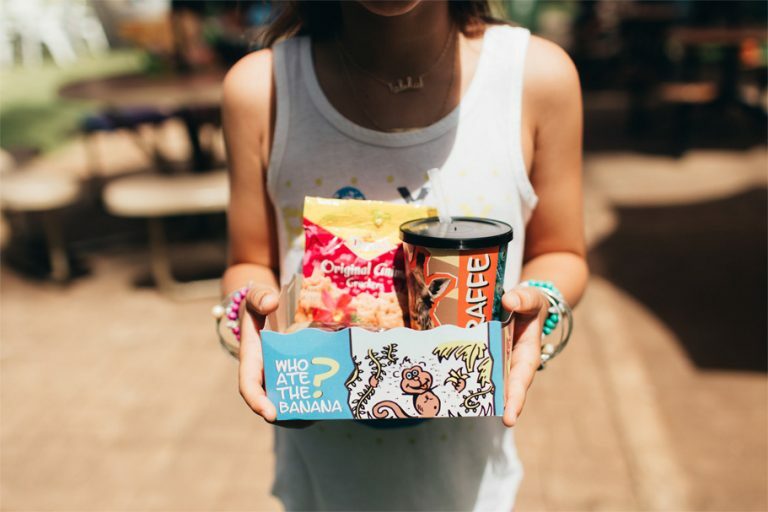 Here, Melia wears assorted Aloha Keiki wood bracelets and bangles. 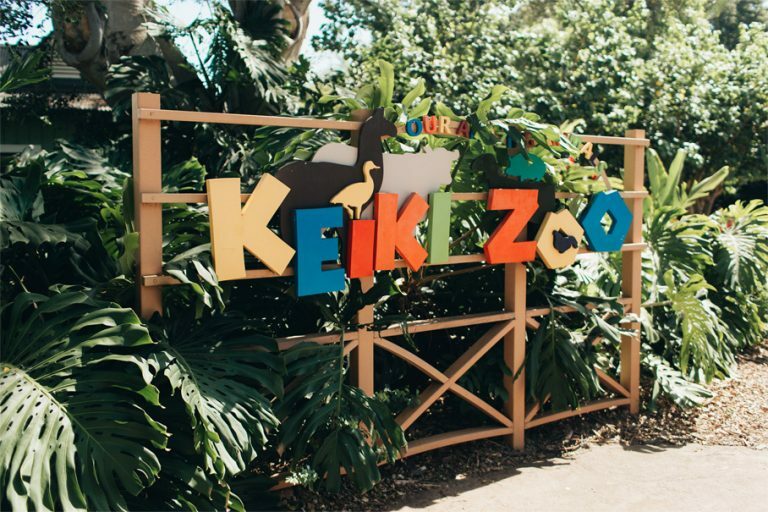 Keiki and adult light meals are available next to the Keiki Zoo. 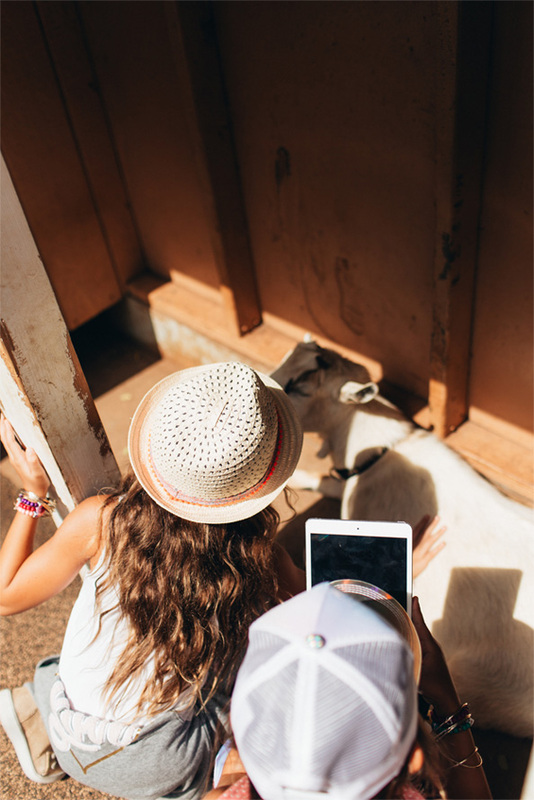 Bring your keiki inside to pet animals and enjoy interactive stations. Melia and Kiele loved petting this sleepy goat. Another fun day at the zoo learning, climbing and appreciating our animal kingdom.